Anyway, they have made a public statement of 300cr bottom line in 2022/23. Will have to wait for that. At current rate, they look like they should hit 200cr PBT by FY19. Lets see if that is accomplished first! I don’t understand objective behind this. What will be impact? Could be a precursor to an eventual sale of the business or getting a strategic/PE partner in the business…will be interesting to know …. any penality or problem with one country is isolated with that. it can be wound up in extreme cases without need of further capital or without affecting business in other countries. different companies means more mangement bandwidth. sale of business can be there. if subsidiary is set up in different country, there is ease of operations like lesser approvals (just 1 country instead of 2). this is industrywide practise… so i think there is nothing to worry about. The rich valuations were derived from the fact that the company was growing at much above the industry average and all payments in advance from customers. Both of these theories are busted for now so the company does not deserve this kind of valuation and this is what market thinks that’s the reason it has not moved in fact dropped by almost 50% since last August (2017), mid cap melt down happen only in February 2018. I can argue on facts not expectations or just urge to argue. Company has decided to divested its USFDA approved injectible plant in to another company (a 100% owned subsidiary of Caplin points ltd) and plans to explore stake sale in this entity. The divestment is expected to be complete by Jan 19. However, the company has not disclosed details on stake sale in the press release. Let’s wait for more details. Issue of CCPS to Eight Roads Ventures India Ill LP. and F-Prime Capital Partners Life Sciences Fund VI LP. These preference shares issued for Rs 218 cr will be converted to equity for a minimum share capital of 25.29%. Effectively valuing the subsidiary at Rs 862 cr 3-4 years hence. *** As per my understanding of further reading of the notification, since, the issue is of Preference Shares which are to converted compulsorily after some time (not disclosed), the maximum value till that time is Rs 862 cr. They will hold at least 25.29%, does that means if the performance is not up to mark, their equity share may rise further?? Caplin Steriles Limited, the wholly owned subsidiary company of the Company will issue 7,45,82,875 Compulsorily Convertible Preference Shares of Rs.10 each (“CCPS”) at a premium of about Rs.19.23 per share to the Investors in two tranches (subject to applicable laws and fulfilment of terms and conditions of the Investment Agreement) . # of convertible shares is fixed, so I don’t think that if performance is not up to mark more shares will be issued. I think they mean that if Caplin Steriles issues more shares in future then it means that Caplin must make sure the investors don’t get diluted below 25.29%. Do we know how much money was spent on this unit and how the valuation of 826 cr compares with revenue and profit of caplin steriles? thanks! Conversion rate is not known. How many equity shares for 1 preference share? Anyways, it my opinion. The basis being why not issue equity shares directly and why take the route of preference shares and then getting them converted. If it were not to save against any capital loss, then what? Regarding revenue and profits, I do not think there is much information available. I do not think there are any material sales from this company yet. I don’t think this is kind of book fixing, as these types of terms need to be there when investing in a company with no material revenue. Only thing they have is a USFDA approved plant, but I do not think they have started shipments to USA. I agree, without any evidence I don’t think you can say book fixing etc. The company is getting 218 crores of investment into its subsidiary which doesn’t have any revenue. I don’t see hwo this is book fixing if cash is going up. Anyway, my take on the topic is - similar to what Strides have done with Agila and Cipla have done with Cipla health, this seems to be a move to unlock value from their injectable business for the US. Instead of diluting in the parent company, they seem to have subsidiarized one arm of the business and raised funds there. As per their earlier statements, they were spending around 60cr a year on this company as Opex, which means now they can start to use this 60cr for expansion into other areas, as I guess this 218cr from Fidelity would be used purely for the injectable business. The company's shareholders had entered into an agreement for transfer of the company's API business to Glenmark Life Sciences in October. The transfer has concluded successfully on December 31, 2018. So I spoke to the COO and he confirmed that the preference conversion is on a 1-1 basis. So the maximum stake Fidelity can get is 25%. Also they invested in total 380 crores into this injectibles plant so management is quite happy with a valuation of 870 crores. 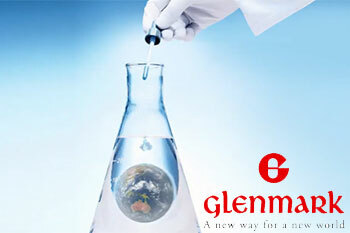 The company is going to focus on complex molecules in the regulated space and is focusing on R&D. Due to stability issues with complex molecules they are high margin products. Company has got 2 ANDAs approved and 2 more will be approved by March. 6-8 more are going through the approval process. Main reason for choosing Fidelity is their contacts in the regulated healthcare industry which would help Caplin open doors which they themselves cannot do. one final thing is fidelity is looking at an exit in around 5 years time, typical with PE/venture cap investments. caplin is also organising a conference call on 11th of february. so boarders can ask management any questions about the business etc. details on corporate announcements page of bse.